5-piece decal set for the interior of coin doors on Williams games approx. 1977-1985. 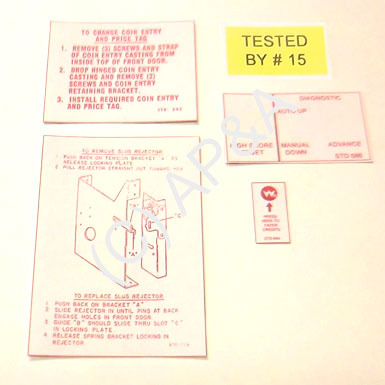 Includes coin tag and mechanism instruction decals, test button decal, credit decal, and inspection decal.